The establishment of a Continental Free Trade Area (CFTA) are currently debated within the African Union. Which place will North Africa assume in these negotiations? How can social justice and standards be protected? Which role can the civil society play in these negotiations? These were the primary questions asked in a two day workshop on the North African implications of the CFTA. 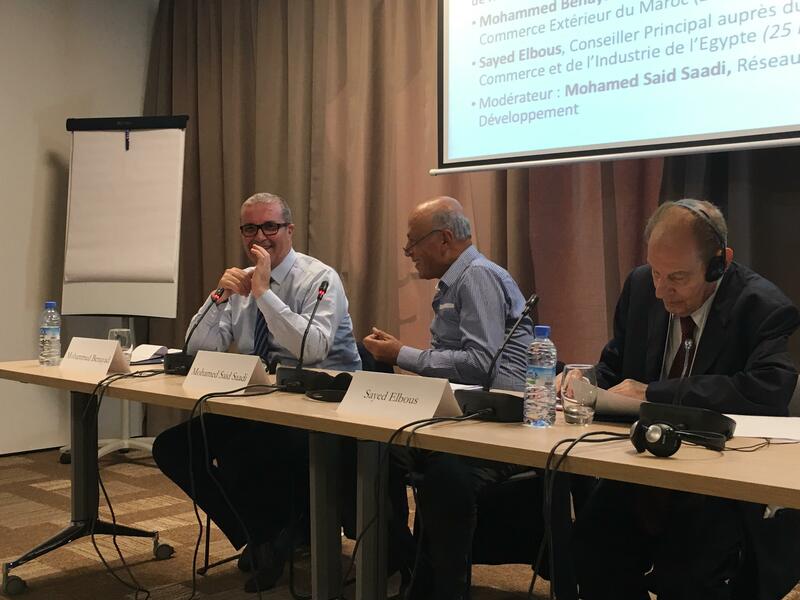 The “Complementarities and Contradictions with the Continental Free Trade Area (CFTA)” for Africa and the specific North African trade arrangements were the topic of a workshop which took place on June 28 and 29 in Rabat, Morocco. The main aim of the workshop was to discuss the reasons for the low economic integration of the Arab northern African countries (Algeria, Egypt, Libya, Mauretania, Morocco and Tunisia) despite the large number of bilateral and regional free trade agreements (FTAs) among them since the 1980s. 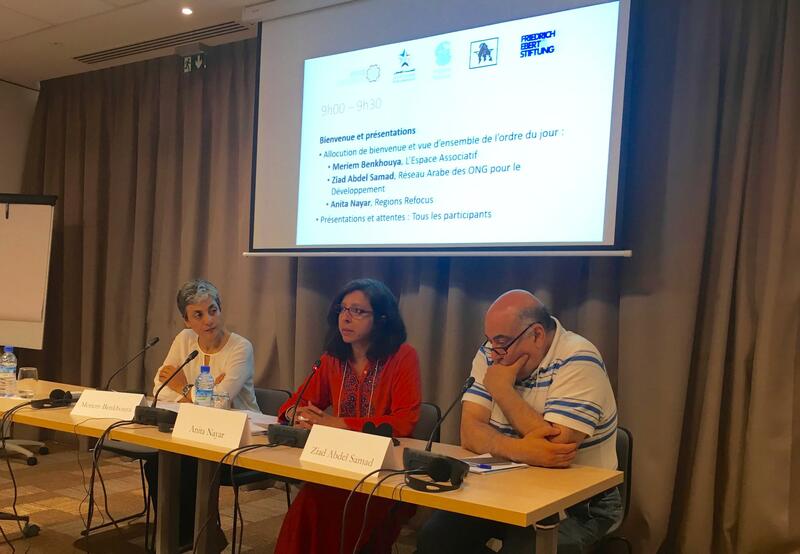 The workshop was organized by several local and international NGOs which share a critical view on free trade and support heterodox and feminist perspectives on trade. 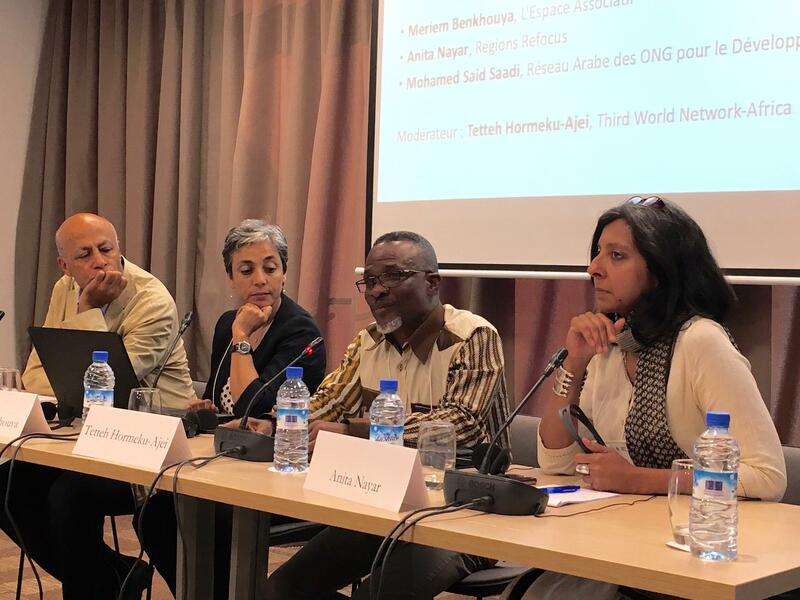 Their joint goal is to promote networking among North African civil society around trade and regional integration as well as to advocate for alternative regional economic integration approaches that enhance social justice and benefit women as well as other marginalized groups. Invited participants included activists, academia, members of feminist associations, journalists and representatives of official national and regional institutions and governments. The debate was not only revived by the ongoing negotiations to create a Continental Free Trade Area (CFTA) in Africa and the potential economic gains and social challenges of “south-south” FTAs. Also, the growing critics against free trade and the “north-south” FTAs and their negative effects on local economies and socioeconomic development processes in developing countries show the urgent need for alternative trade paradigms that consider social, environmental and developmental issues instead of focusing exclusively on macroeconomic and GDP related benefits of “free trade” as a final goal for such agreements. While south-south FTAs were unsuccessful in increasing economic integration, and support regional industrialization in the region, mainly due to political conflicts (Algerian-Moroccan conflict, Libyan war), north-south FTAs damaged local industries, increased economic dependency, escalated social inequality and supported wage dumping. Unfortunately, both FTA concepts credible lack developmental and social dimensions. These arrangements focused exclusively on trade liberalization and capital movements, but excluded discussions on the mobility of labor forces, providing for basic social security or protection of vulnerable social groups. The first one is related to the possibility of creating a regional economic integration that serves as so-called “trade/economic bloc” or “building block”, in which regional trade is liberalized, but the regional economy is protected against the rest of the world. Through an economic bloc, small countries could collectively defend their economic and political interest’s vis-a-vis strong trade partners and in an international organization such as the WTO. At the same time, they can maintain a certain degree of protection and autonomy at the regional level. The second aspect is connected to the ability to achieve socioeconomic development goals, such as industrialization, decent job opportunities, social equality, poverty reduction and food sovereignty, if these countries have already committed to open their market in line with WTO-principals and several FTAs with trade partner outside the region. Neither the WTO nor the different FTAs consider social and developmental priorities, worker’s rights or environmental concerns of member countries. One of the most important criticisms of FTAs is directed to the negotiation process itself, which is limited to governmental institutions and political elites. Neither representatives of trade unions and private sector, nor representatives of NGOs were usually involved in the negotiation processes of FTAs, regardless if they are south-south or north-south. The proposed CFTA seems not to be an exception in this regard. This exclusive approach of FTAs is worrying from the point of view of NGOs, small-scale producers and farmers, trade unions and feminist/gender perspectives. to include in the FTAs developmental concepts and rights-based approaches in line with international conventions on human rights (including women’s rights, children’s rights and labor rights). To achieve these goals, participants of the workshops suggested to increase awareness by using the media, which should simplify the technical content of the agreements and make it accessible and understandable for a broad audience. They also called for more advocacy and lobbying work among groups who share the same interests. Finally, they proposed to start a constructive dialogue with the governments and official institutions to build common understanding on conversional issues.